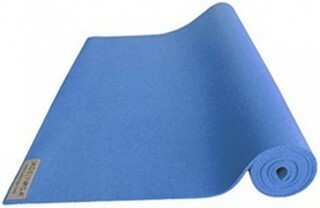 The Harmony Professional Yoga Mat is made with open cell, natural rubber, you can say goodbye to slipping on your practice mat - even if it gets wet with perspiration. 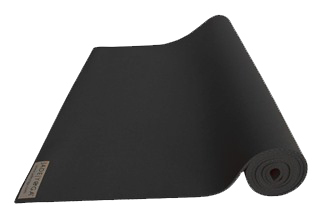 Natural rubber has long been used where safety demands non-slip performance. Harmony takes advantage of the non-slip properties of natural rubber - resulting in the best slip-resistance on the market. 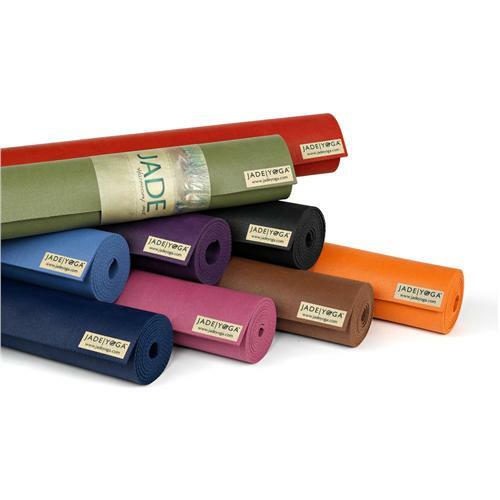 Harmony is constructed of natural rubber a renewable resource tapped from rubber trees - containing no PVC or ozone depleting substances - perfect for the yogi concerned about the environment. I LOVE Jade yoga mats. They are so grippy yet they are not heavy. When doing hot yoga I pair my mat with a Gaiam mat towel and it is perfect, no slipping! For Vinyasa no towel just the natural grip of the mat. I have used many mats and Jade is what I recommend to everyone. My husband bought me this mat for our anniversary! I love it as much as him. It's a medium thickness, but still pretty light to tote around everyday, and is very durable, and prevents my hands from slipping most days. I could not be happier. Love, love, love this mat!! I got a great deal on it from yogadirect, and the shipping was fast. This is by far the stickiest mat I have ever used. No chance of slipping on this baby! Make sure your floors are clean before you roll it out though, because it picks up everything with its stickiness. I live with 3 dogs, and I have to really shake mine off after using to get most of the little hairs off. I love this mat. It has the best traction I've had so far.